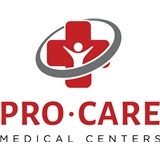 Pro-Care Medical Center (Cedar Park) - Book Appointment Online! Since opening our doors in 2004, we've had a consistent focus since Pro-Care’s inception – build a multi-discipline health facility that brings together medical doctors and other health professionals to get the best outcome. Please Note: We have a no-show policy. It was quick and efficient. They ordered labs and then drew blood to send off onsite. Very convenient. Dr. Hays is good people and provides great care. Everyone was very friendly and welcoming which put me at ease during the rest of my visit. They had all the right people in the right place so I was in and out quickly but still felt cared for. Really took time to identify my needs and went over all the treatments in detail. Very thorough and attentive.